For now, I’m focusing on getting what should be a fairly easy project completed, one of my two Dystopian Wars fleets – my Russian Coalition. 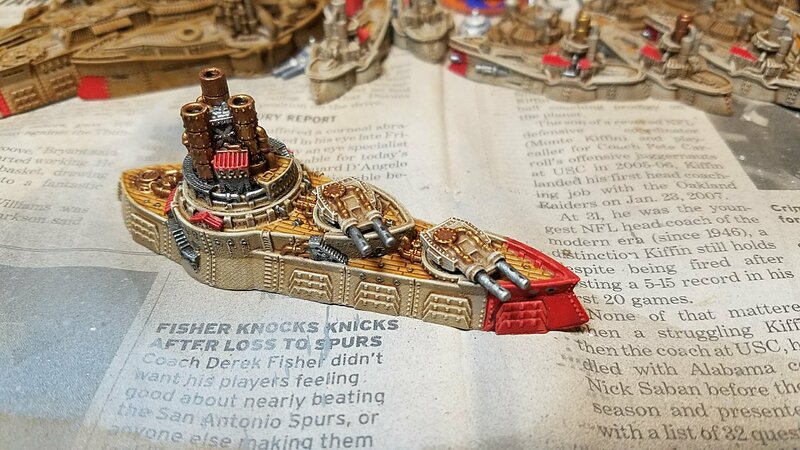 I’ll post more on the inspirations for the color scheme, and my tester ship which is nearly completed, but I was so pleased with how the hull tones were coming out I went ahead and base colored the entire fleet last week in preparation of some speedy assembly line painting. Here’s a quick shot of the models while drying. Next update, better pix of the ships (and hopefully a few finished ones).